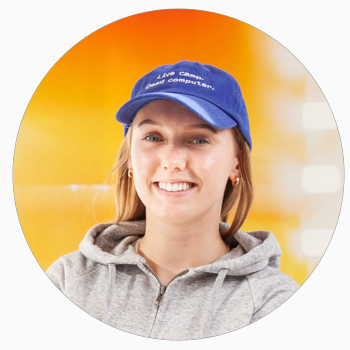 Sarah McBride is a marketing specialist on the Betaworks Camp team. Sarah previously completed a marketing internship at Google and worked at wearable health tech startup Withings in Paris. In her role at Withings, Sarah focused on social media, community building and customer engagement. When Withings was acquired by Nokia, she worked directly on the global brand transition and launch of the Nokia digital health brand. Sarah holds a BSc in International Management with French from the University of Bath.